Suspicion of a mold problem in the home is reason enough to call a professional to provide a thorough inspection of the property. Mold is a major threat to a home and your health. Numerous signs indicate the potential presence of mold growth and the need for an expert inspection and remediation. Walk through the home to look for these signs to better determine if there is a mold problem in the home. Mold growing in the bathroom or basement is the most obvious sign that there is a problem that you need to resolve quickly. Don’t ignore mold, even if you see only a small spot. There is usually more lurking beneath the surface, and ignoring the problem causes it to worsen. Even the smallest of mold spores can easily spread and cause a major concern around the house. A moldy, musty odor is oftentimes a common indication that there is a mold problem in the home. The smell is unmistakable, even if there are no visible signs of mold growth present. Air fresheners and other air clearing products may mask the musty odor smell temporarily but the only sure way to rid the odor is the complete elimination of the mold problem. 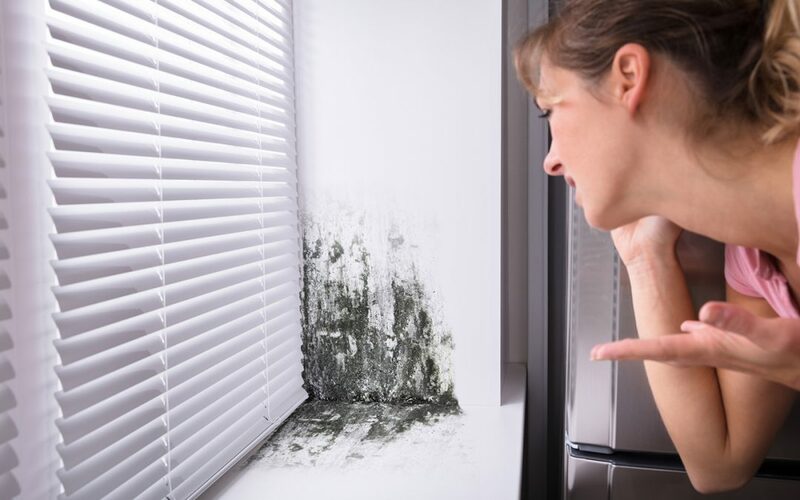 Excess condensation from the air conditioning unit, on the home’s windows, or on glass such as that on mirrors is also a sign that a mold problem in the home exists or that it could very well affect the home due to moisture issues. Condensation provides an environment in which mold thrives. Take care of any issues causing condensation in your home and leave these worries behind. Leaking water is a haven for mold growth. Immediately clean up any spills in the floor and address leaking pipes, water heaters, sinks, etc. quickly. Look out for yellowing stains on the walls and/or ceiling for potential alerts to a water leak that you should immediately repair. The signs above are only a handful of many that indicate a potential mold problem in the home. Mold is a serious issue that should be addressed as quickly as noticed or prevented altogether. Call a professional to remedy the problem if these signs are found. DIY mold remediation is not recommended because health problems can develop if it isn’t properly removed. Knight’s Shield Home Inspections offers mold inspections and other home inspection services to Central Georgia. Contact us today to schedule our services.